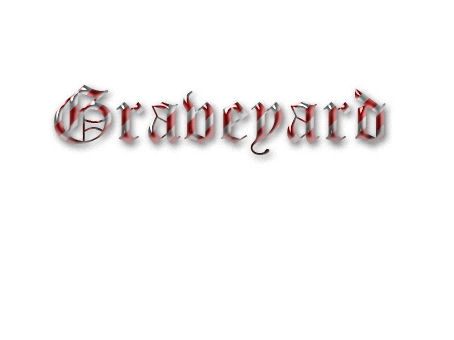 Graveyard forum :: General :: News! Hello all you may be happy to know that we just got the new server equipment working and the server is "working" better then ever! The server is pretty much live... thought we can not give out the ip yet as I am still having trouble making it high speed and dedicated we may let one tester give it a go and make sure all is well! I'm not a stalker I promise! But I'm still here and it's good to hear that it's all going well. I hope the test goes as good as you plan it. Hahaha don't worry we spend about 50 % of are time on the site now as well, and would you be free some time over the next week for a possible testing of the server. We have discussed who should test it and you seem like the best candidate but we are not sure yet, we have a small community out of the site also so their are allot of names to chose from. I'd love to test it out for you but I won't have a large amount of time each night to do so. I will have over an hour or two each night though. Thank you for the offer and if I can then I'll definitely do it. If we decide for you to test would you be available this Saturday? I can't say for sure at this point because my weeks are usually unstable but as for right now I can say yes. I should be available this Saturday. If we decide for you to become the official tester, And you cant make this Saturday, Sunday is also an option. Whatever happens, I'll try my best to make either day or even both days if you want me to. I'd also like to make some suggestions to topics you should add to the forums at some point. Yes thanks for the suggestion we have been trying to get topics working it should be fixed within the week. Do you possible have any other suggestions? And congratulation on being the first member and vip I will not be giving out any more vips until the server is live so good work! Well it wasn't that hard *blushes* Lol. But I think a "Suggestions" forum is probably most needed, as well as a forum where people can report Griefers (with the appropriate username and proof of the grief). A "Forum's Rules" thread should probably be put up but not until all the rules have been thought about. Sometime in the future you could make a tab for Donations thread for people who are willing to donate to the server. I'll be sure to list more suggestions when I can think of more, but for right now that's what I have. Thank you and something you might think about doing for the people that donate. You could give them an item, nothing limitless of course, as a token of their donation. It doesn't have to be something extremely useful. If you know how to create items you could even do that for donations or an item only attainable through donating? Good idea. We will make it so you also get to be a v.i.p if you donate 5 or more dollars. You have free v.i.p Because you are are very first member! That'll be great, but to an extent. I personally think there should be at least two different colours for being a VIP. One colour for being the first on the server and one for donating. I don't really believe I should be put in with the people that donated seeing as how I haven't donated and I was just the first person here. Also I'm still really grateful that you're allowing me to test the server, so again thank you. Hahah ok but so far you are the only VIP, even though two people claim to have donated, the money hasent came throught yet. Oh sorry wondering a bit offtopic here yeah we will definatly think about it mabey "first member vip" could be a position. Lol, well it's whatever you want. I don't need to be special, it's just me asking for some special thing so don't bother if it's..bothersome? Lol, I won't be offended in any way if you don't do it.